Coaches, don't try to use all of these basketball offenses for your team. Select an offense(s) and those plays that best fit your team's personnel, size, quickness, and strengths. For a man-to-man offense, you can choose a free-lance motion offense, or a more structured, patterned offense like the Flex, Swing, Shuffle or High Low Triangle offenses. The Triangle Offense has features of both patterned and motion offenses. You will also need a zone offense. Put in a couple of set half-court plays and have a couple out-of-bounds plays and you are ready to go. Teach and establish your main offenses first, and you can add additional set plays as the season progresses. See "Teaching Basketball by Progression". Another option to consider for your entire program, starting with your youth teams and progressing up, is Rick Torbett's Read and React Offense, which is very flexible, and adapts to any set or style of play. It can be used against both man-to-man and zone defenses, and more importantly is a system for player and team development. Motion offenses teach kids to "play the game" and learn how to read the defense. Motion offense is not a set, patterned offense like the Flex or Shuffle, although you can certainly run set plays with any motion offense. Motion offenses work well against man-to-man defense, and sometimes will work against certain zones. This offense has good court balance with three perimeter players and two post players, and gives you both inside and outside presence. A good offense for teams with good outside perimeter players and shooters, and a shortage of true inside post players. You open up the lanes for inside dribble-penetration, but still get a lot of 3-point shots. But you give up some inside presence and offensive rebounding. The Dribble-Drive Motion Offense is a 4-out, perimeter-oriented offense, developed by Vance Walberg and adapted by John Calipari. It features guard penetration and kick-out passes for 3-point shots. This is a pure unscripted motion offense featuring multiple screens from "blockers" and scoring opportunities for "movers". Several sets can be used. The 5-out, "open post", offense is best for a team that has no strong inside post players, but has good outside perimeter players and shooters. Again, you open up the lanes for inside dribble-penetration, and get a lot of open 3-point shots. This offense can create problems for the defense when their "bigs" have to go away from the basket to defend on the perimeter, which is when you use your quickness to beat them off the dribble. But again you give up inside presence and offensive rebounding. You can also use this offense as a delay offense. Another option to consider for your entire program, starting with your youth teams and progressing up, is Rick Torbett's Read and React Offense (DVDs), which is very flexible, and adapts to any set or style of play. It can be used against both man-to-man and zone defenses, and more importantly is a system for player and team development. It is a great way of teaching offense as it is taught in "layers". The first two layers could be your young youth team's entire offense. Then each subsequent year, you can add another layer or two, so that by the time they are high school varsity players, all 17 layers are in place. This is a 4-out motion offense featuring dribble-drive aspects as well as pass and cut, screening, pick and roll, and high post actions. Thoughts, strategies on how to attack the pack line defense. From Coach Lason Perkins' DVD, this box-set offense includes 34 plays. Use this set to confuse the opponent and as another way of getting into your offense. Included are M2M, zone and OB plays. The 1-4 stack offense is set high at the free-throw line extended with both post players at the elbows. This opens up the space underneath the basket for back-cuts and dribble-penetration. Several plays are shown including Geno Auriemma's "Elbow Series". "Raider" has continuity. Also see "West Coast 1-4 Stack Offense" for a very detailed look at the 1-4 offense, including three entries, and 20 set plays! Also look at the 1-4 low set. 28 of Michigan State's (Coach Tom Izzo) sets and plays, including man-to-man and zone plays, and baseline and sideline out-of-bounds plays. The 1-3-1 offense is a simple offensive set, easy to learn, with good spacing, a high post and low post presence, and would be a good choice for youth and middle school teams. For attacking man-to-man defense, several simple motion patterns are presented below, and a few simple plays are referenced. Additionally, the 1-3-1 set works well against the most common zone you will see, the 2-3 zone defense. Use this offense late in a quarter, or late in the game to delay and run time off the clock. Spread the floor while still looking for an easy lay-up. This is an excellent offense if you have an athletic O4 who can shoot from the high post or take the ball to the hoop. O4 can also be a screener. Many options are possible, and you don't need a great point guard for this offense. The Triangle Offense, so important to the success of the Chicago Bulls and LA Lakers, is an offense that features a "sideline triangle" and a weakside "two-man game", and is effective against man-to-man defense. The offensive players always try to fill the five spots, and in this sense is similar somewhat to a patterned offense. 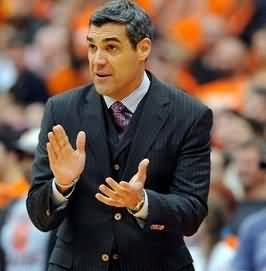 There are however, unlimited options and, similar to a motion offense, players "read and react" to the defense. The offense stretches the defense with good spacing, creating problems for the helpside defense and trapping. Cutting and good passing are important keys. This offense takes a fair amount of practice time to learn, and you need "basketball-smart" players to run it effectively. Youth teams could perhaps use parts of it, as the offense does help players learn to read and react to the defenders, which is a good thing for kids to learn. The High Low Triangle Offense, is presented by Coach Lason Perkins. The High-Low Triangle incorporates concepts from the famous Tex Winter Triple-Post offense, commonly known as the Triangle offense; the Flex offense; and the Shuffle-Cut offense. It provides constant movement, screening and good floor spacing, and offers a variety of options that allow you to take advantage of your talented players. Because the High-Low Triangle is effective against both man-to-man defenses and zone defenses, it provides tremendous flexibility with multiple entries and options. Whether you have a great outside shooting team or a dominant inside presence- or neither- this is a powerful offense at any level of play. The Princeton Offense is an offense developed by Pete Carril at Princeton. The hallmarks of the offense are the spread offense and spacing, constant motion, the back-door cut and lay-up, hitting open 3-point shots, flare screens and screens away from the ball. The basic set can be 4-out with 1-in (either at the high post, or low post), a 2-3 high set, or a 1-2-2 (5-out) set. A smart post player with good passing skills is important. It requires players with a high basketball IQ and good perimeter skills... passing, dribbling, shooting, cutting, etc. Pete Carril's Princeton Offense... detailed, definitive. Princeton Offense... a more general discussion. The Pick and Roll Offense is an offense that utilizes the pick and roll as the basic weapon for getting open shots. Greater emphasis is being placed on the open or spread offense, dribble penetration, and the ability to draw and kick to three-point shooters. The pick-and-roll (also called the ball screen) is one of the oldest plays in basketball, but it is now being used more than ever. The pick-and-roll has become popular as a method for gaining dribble penetration and then drawing and kicking-either kicking in to a player near the basket or kicking out to a three-point shooter. Contributor Hal Wissel describes several pick and roll plays, and several plays that can be used as part of an early offense in transition. 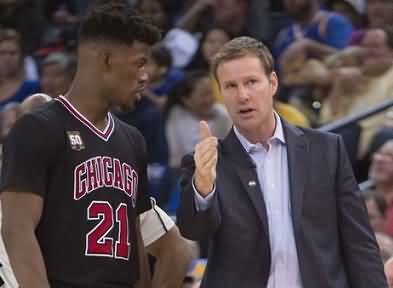 Coach Fred Hoiberg likes to run these basic Transition to Early Offense Actions in transition, as an "early offense" attack... a number of simple, yet effective options that are hard to guard. Former Duke assistant (and now Northwestern head coach) Chris Collins presents Duke transition offense and early motion offense options for quick baskets. The Hawk Offense, very popular with professional NBA teams, is an offense used against man-to-man defenses. It was originated by former NBA coach and TV analyst Hubie Brown when he was with with the Atlanta Hawks. This versatile offense gives you lots of options for your guards and your post players, and many set plays can be used, including pick and roll plays. The UCLA Offense is an offense used against man-to-man defenses. 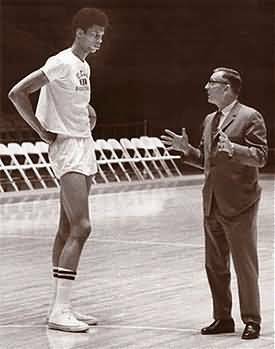 It was developed by legendary UCLA coach John Wooden, "the Wizard of Westwood", whose teams won ten NCAA championships in his last twelve years of coaching during the 1960's and early 1970's. This timeless offense is still a good one and is popular at the college level. It uses a 2-3 high set (two-guard front). This high set, like the 1-4 high set, takes defenders away from the hoop. There is less pressure on your point guard, as the offense can be run to either side. The Flex and Shuffle offenses are examples of patterned offenses, where players run a certain pattern of screens, cuts, passing, etc. There is continuity, or continuous flow from side to side. Teams that don't have strong inside post players may like these offenses (especially the Shuffle), as the players interchange positions. This can lead to defensive mis-matches and easy baskets if you execute well. To be effective, however, I believe that you must have counters and options to confuse and take advantage of the defense, or otherwise the offense becomes too predictable. If used with younger kids, the kids might not learn to read defenses, but rather get familiar with just running a set pattern. A fair amount of practice time may be needed to learn these offenses. The shuffle offense is an offense that has all five players rotate in each of the five shuffle positions. So this offense would be good for a team that has good ball-handlers but is not blessed with height or a strong dominant post player. There is continuity, and there are counters and options. This works best as a man-to-man offense. The "Flex" is patterned offense featuring passing, screening, ball-reversal, options and counters. This offense is most effective against man-to-man defenses. Most scoring opportunities come off the "flex cut" inside, or a jump-shot from the elbows. Still you can run various options, counters, post plays, etc. Size mis-matches often occur due to the screening and defensive switching. A "High Flex" delay offense, a "5-Out Flex offense", and the "Thunder" offense are variations of the Flex. The Thunder offense can be used with youth teams. This is a patterned offense with continuity for attacking man-to-man defenses. It gets your players moving and often results in lay-ups and good shots. Patience is key. There are good counters and options to confuse the defense. This is not the same "Swing Offense" taught by Coach Bo Ryan at Wisconsin, an offense that combines elements of both the flex offense and the UCLA offense. This is a simple pass, cut, and fill offense that offers a variety of counter options based on how the defense chooses to play. It uses a 2-3 high set, or 4-out set. 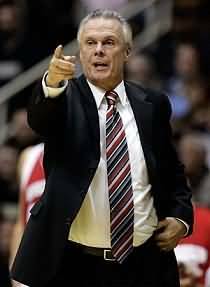 Legendary Coach Bo Ryan's offense is a 4-out patterned offense that has continuity. All five players are interchangeable, and spacing, screening, cutting and good passing are paramount. All five players can post up inside. The Swing offense is used against man-to-man defenses and combines elements of the UCLA offense, the flex offense, and the triangle offense. There can be a number of entries into the offense, and there are counters for every kind of pressure defense. Set plays can be called as well. Run this offense when your opponent is bigger and taller. This high 2-3 offense takes the opponent's big defenders outside, away from the basket, and allows us to attack them with our speed and quickness. This is a man-to-man offense and looks a little like the Princeton with the 2-3 high set, but instead is a patterned offense with continuity. Scoring options come off screens and open cutters. A "pattern" implies predictability and the defense will begin to expect certain movements, passes and cuts and will then often "cheat" and deny or overplay. This offense has counters for defensive overplays. Often scoring occurs by reading and attacking an overplay. Consider the 2-Out, 3-In offense if you have two or three strong inside post players, or if you do not have great outside shooters, or if you are not blessed with a great point guard. This offense is designed to be a deliberate, tempo-control offense that looks to get high-percentage inside shots. As in any good offense, the 3-point shot can be taken when open, but our main goal here is inside shots, post-moves, lay-ups, free-throws, and attacking the offensive boards for rebounds. Here we present two basic patterns... a "2-3 Low" offense and a "2-3 High" offense. Either (both) can be used by simply having the point-guard call "High" or "Low". Both offenses have continuity and can be run patiently, indefinitely until the defense breaks down and a good inside shot is obtained. 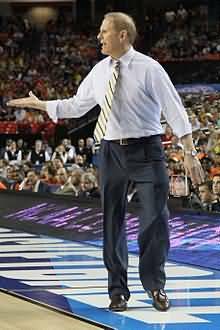 High School Coach Tom Jicha (Miami Sunset Senior High School) has spent years breaking down the 2-guard offense made famous by Michigan's John Beilein. He presents the offense and has two excellent DVDs, detailing the three sets ("chin", "motion" and "shuffle"), and shows how they easily flow into one another. Many options are available at each point in the offense. 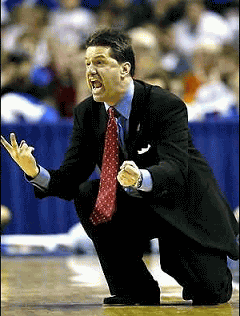 It is a read and react, perimeter-based, patterned offense that also allows for free-lance motion. From Coach Lason Perkins' DVD, featuring double high post players ("horns"). Discussed are the basics of the offense and many set plays. Plays are designed for your best shooters, your post players, and several pick and roll plays are included. Developed by legendary North Carolina coach Dean Smith, the T-game or "triple-post" offense favors a team with strong post players. It is a power game with inside post play and scoring in the paint, as well as trips to the free-throw line. Opposing post players frequently find themselves in foul trouble. Offensive rebounding is a strong asset. The T-game can be used vs either man-to-man or zone defenses. It is flexible using either a "single-post" or a "triple-post" option. The offense is based on spacing and movement, with little screening, and has continuity from side to side. Like other "patterned" offenses, it is somewhat predictable, but as with all offenses, execution is the key. The T-game is fairly easy to learn. O3, O4 and O5 are interchangeable and all learn the same roles, whereas O1 and O2 are also interchangeable. Developed by coach Dave Arseneault, this is a fast-paced, high-scoring "system" with his teams averageing 116 points per game. It's a "run and gun" offense with offensive possessions often lasting only five seconds in duration (12 seconds at the most), usually resulting in a 3-point shot. Many players will get playing time and no-one plays the entire game. You need two or three good point-guards who can score. Sometimes you need an offense to slow things down, to delay the game and control the tempo, or to simply run the clock out at the end of a half or the end of the game (when you have the lead). Here are several "delay" offenses. The offenses listed above are most effective against man-to-man defense. Your team must have a zone offense(s) to counteract zone defenses. Read Zone Offense for general principles used in attacking any zone offense. The most common zone defense that you will see is the 2-3 zone, so I would have a 2-3 zone offense in my playbook. I would also have a zone offense that can be used against a 1-guard front zone defense (e.g. vs. the 1-2-2 zone, or 1-3-1 zone). If your team has one special star player, take a look at the "box-and-1" offense. If you play 4-out or 5-out (open post) man-to-man offense, take a look at the 4-out and 5-out zone offenses. In summary, your offense can be as simple or as complicated as you want. Youth teams would be best served by keeping things as simple as possible, stressing learning fundamentals more than learning plays and sets. A simple man-to-man offense, a simple zone offense and a couple out-of-bounds plays is all you need, and all you will have time to practice. High school teams that practice every day can develop more detailed and multiple offenses, with options and plays. But again, simplicity is often the best. Many more basketball DVDs at the Coach's Clipboard Basketball DVD Store! 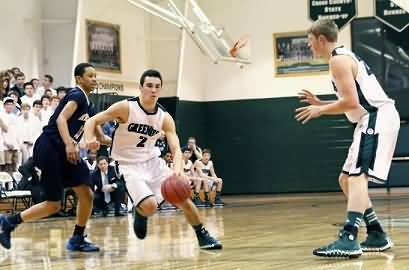 This page lists and categorizes a number of DVDs of basketball offenses including: 4-Out-1-In Motion Offense, Dribble-Drive Motion Offense, Flex Offense, High Post Motion Offense, I-Option Offense, Motion Offenses, Triangle Offense, Princeton Offense, Wheel Offense, Zone offenses, as well as set plays. Also included are Transition Offense, including Press Offenses and Primary and Secondary Fast Breaks. 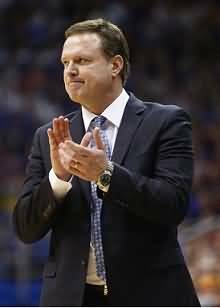 Some of the most well-known and respected coaches in basketball today are represented (Bill Self, Jim Calhoun, Jay Wright, Rick Rick Majerus, Phil Martelli, Tubby Smith, Tom Izzo, Mike Krzyzewski, Roy Williams, Hubie Brown, Mark Few, Jim Boeheim, Geno Auriemma, Billy Donovan, Tom Davis, and more).